Haynes-Apperson is a manufacturer that few know about. But it is one of the most important. Elwood Haynes, who would later hold a patent on stainless steel, partnered with brothers Elmer and Edgar Apperson in 1894 to build a motorcar. A company sprang up in 1898, the first in Indiana (Kokomo, to be exact), and was soon churning out cars as fast as they could. Haynes was a difficult guy to get along with from a business perspective, and the Apperson brothers departed the company in 1902. Haynes-Apperson became just Haynes in 1904. 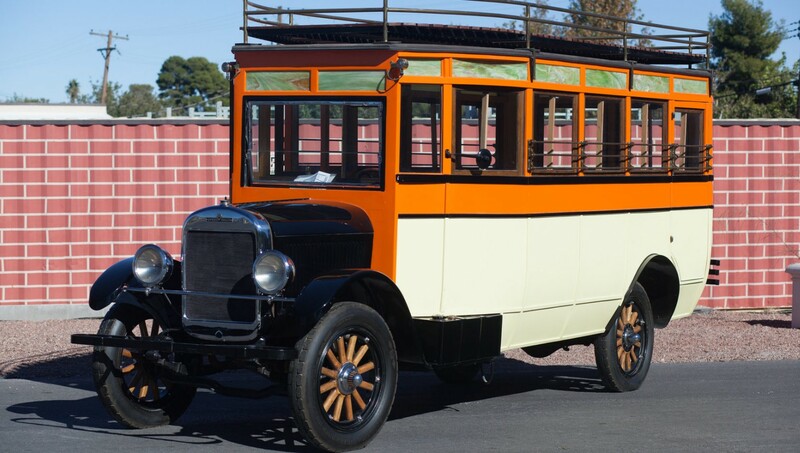 In 1904, the last year before the name change, the company produced a car called the Model F. It is powered by a flat-twin capable of 18 horsepower. It featured left-hand drive, an adjustable steering column, and a bunch of brass, making it seem rather opulent for the time. This example was restored by its late owner and is one of two known examples of the Model F in the world. Long overlooked, Haynes-Apperson deserves to be appreciated as one of America’s first, and thereby most important, automobile manufacturers. This car should sell for between $180,000-$240,000. Click here for more info and here for more from Bonhams. The first Ford, the Model A, was a two-cylinder car. In 1904 they introduced their first four-cylinder, which carried over into 1905. 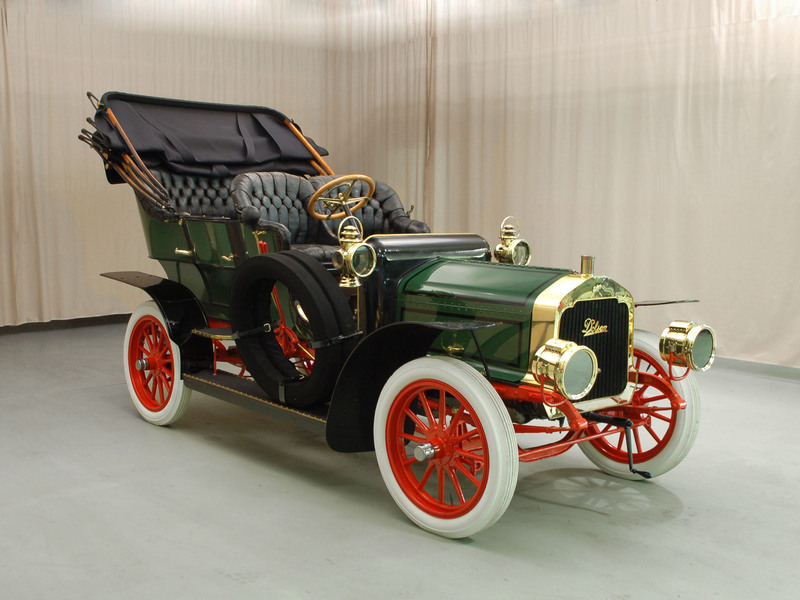 1906 would see Ford launch their first six-cylinder car, but they still introduced a new two-cylinder car in 1905. 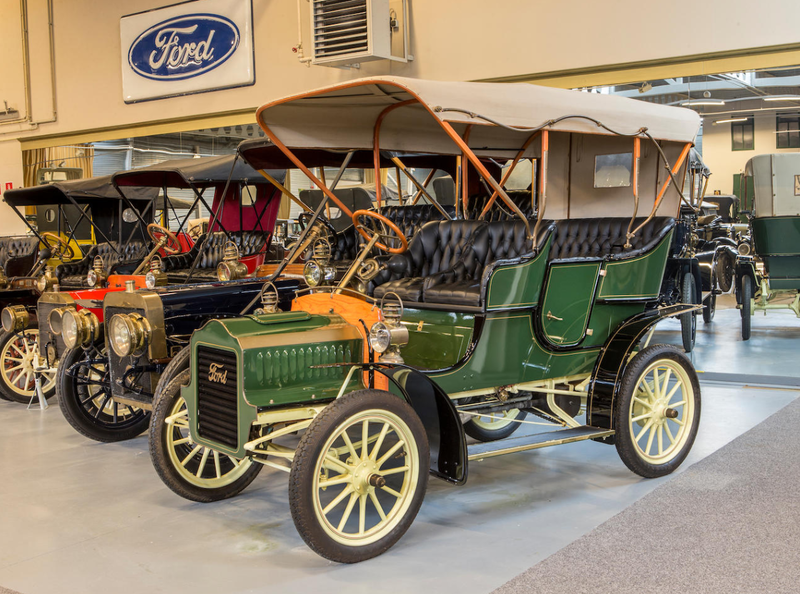 That is the Model F. It would be Ford’s last two-cylinder car after it exited production at the end of 1906. 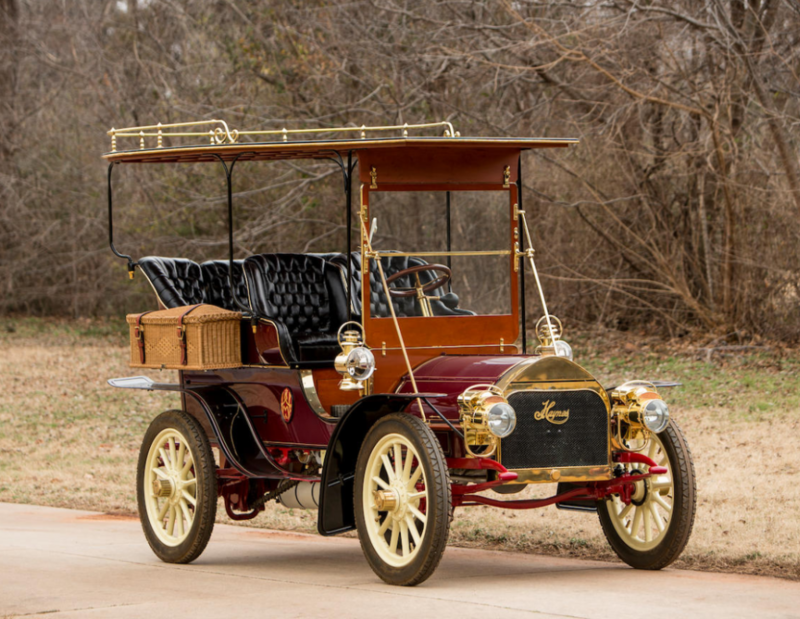 Only two Model F body styles were offered in 1905 and just this, the two-door, four-passenger touring car, carried over to 1906. It’s powered by a 2.1-liter flat-twin making 16 horsepower, a good jump over earlier 10 horsepower twins. Fun note on the Model F: you know how Ford was famous for only selling black Model Ts? Well, to adjust the famous phrase, “you can get a Model F in any color you want so long as it’s green.” Kind of weird, yeah? It’s like Henry bought his paint in bulk and used it exclusively until it was gone. The Model F was a strong seller but, even with its advanced price, they did not survive. It’s thought that less than 50 remain today of the 1,250 sold in two years of production. This car was delivered new to Iowa where it remained for some time. The restoration dates to the late 1990s, right before it was added to the current museum collection in the Netherlands. When new this was an $1,100 car and it should bring between $47,000-$64,000 today. Click here for more info and here for more from this awesome sale. I do love those tires. Why aren’t any modern cars equipped with solid white tires? I guess people would complain about having to keep them clean, but it would certainly make a statement. Anyway, the Dolson Automobile Company (known as J.L. Dolson & Sons until 1906) of Charlotte, Michigan, produced big 60hp touring cars from 1904 through 1907 – meaning this car came from the final year of production. This four-cylinder car would have cost about $3,250 in 1907 – hardly cheap. It is a well-equipped car and even features galvanized steel (a rarity in the day), which should have improved the car’s chance of long-term survival. But Dolson isn’t a marque you see too often. Later in the company’s short existence, they introduced a 20hp flat-twin model as well as a 28/30hp four-cylinder. 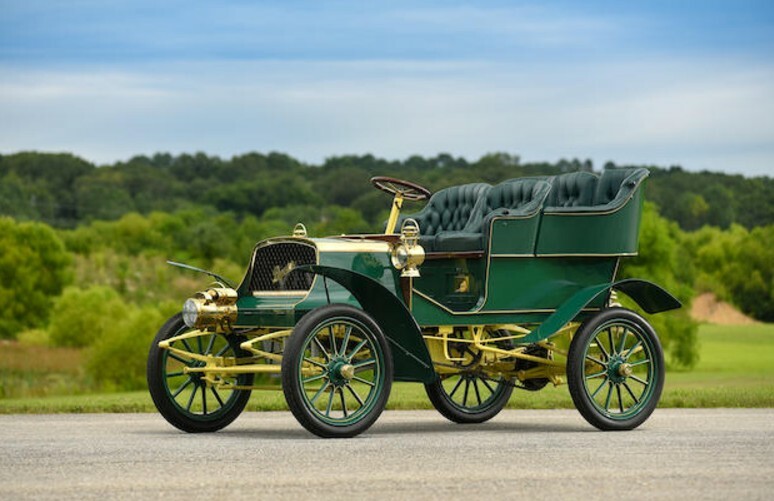 However, even though the cars were of a very high quality, success wasn’t to be and Dolson was liquidated in 1908 after production ceased the year prior. This is a rare opportunity to get your hands on one. The cost? $110,000. For more information, click here. Update: Sold, RM Auctions, St. Johns, Michigan, 2012 – $74,250.